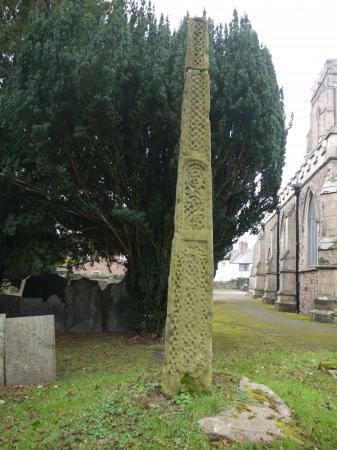 No visit to Rothley Parish Church is complete without viewing the Saxon Cross in the churchyard. 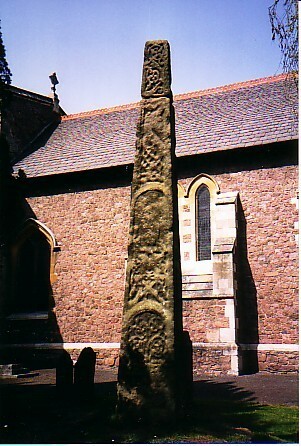 It is perhaps more accurately described as an obelisk or cross shaft as only the headless 9ft (0.6m) high, tapering shaft is visible today. 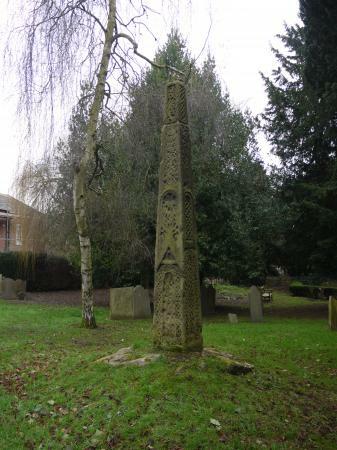 The monument can be found easily by taking the footpath around the church tower to the southern side of the church. 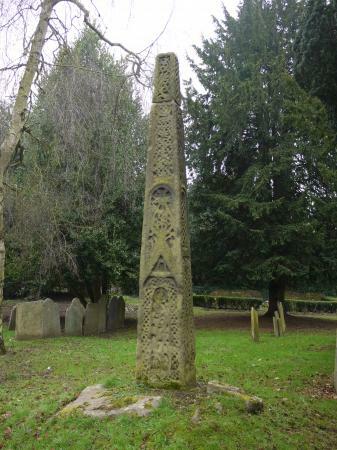 As there are fewer that 50 such crosses in England and 2 in the East Midlands it is definitely worth taking a look. 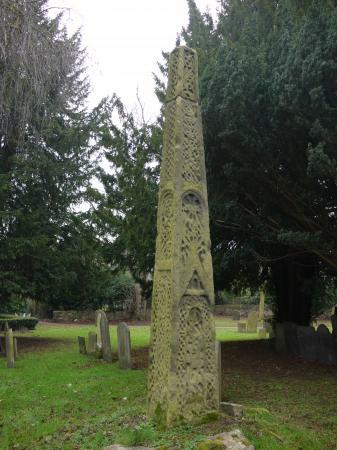 Closer examination by visitors will reveal the intricate carving on all four faces of the shaft which are divided into four panels on each side. 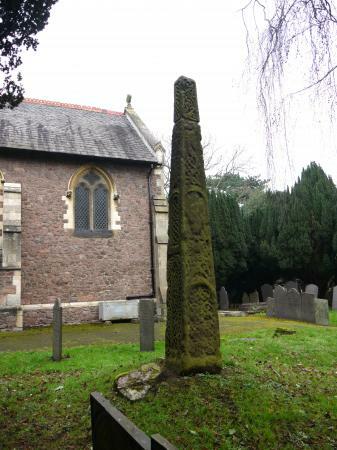 The entry in the Schedule of Ancient Monuments describes the carved decoration as "mainly of interlaced plaitwork and plant scrolls including whorls of foliage with elongated leaves. 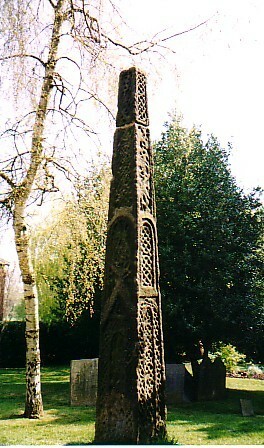 One panel on the south side is believed to include a carving of a winged beast or dragon with an interlacing tail"
Whatever its ancient purpose the Rothley cross shaft remains, to this day, a potent reminder of the strengths, skills and beliefs of folk who over a thousand years ago transformed a huge piece of millstone grit into an impressive monument to their faith and community. 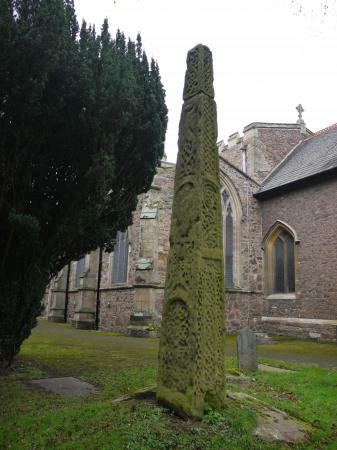 The above information has been given by Brian Verity, the Archaeological Warden for Rothley.